… Ultra Violet! Pantone is calling it a “dramatically provocative and thoughtful purple shade” that “communicates originality, ingenuity and visionary thinking that points us toward the future.” A very bold and vibrant choice after what was known as nature’s neutral; 2017’s Greenery. Ahead of the trend, Cheryl + Travis used shades of purple in their fall 2017 wedding. This Bride is a total gem and doesn’t she look amazing?! Making a fashion statement with these vibrant spike heels! Travis + Cheryl’s son and Cheryl’s niece were fantastic as Ring Bearer and Flower Girl. Huge thank you to Jessica Hunter Photography team for being so awesome and up for the challenge when I said I wanted to surprise Cheryl + Travis with these coloured smoke bombs! Click here if you’d like to watch the video slideshow of their wedding photos. Smoke Bombs: Rocket Fireworks Inc. 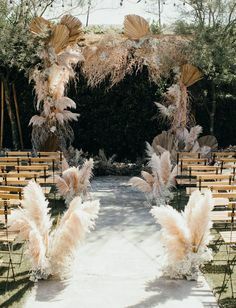 This entry was posted in Tips, Trends, Wedding Colours and tagged 2018, Color, Colour, Colour of the Year, coloured smoke, Pantone, Purple, smoke bombs, Ultra Violet. Greenery is fresh and organic, bright and revitalizing. It’s been announced by Pantone as their pick for 2017. It is symbolic of new beginnings, therefore the perfect addition to add to your wedding colour palette! Greenery bursts forth in 2017… Satisfying our growing desire to rejuvenate and revitalize, Greenery symbolizes the reconnection we seek with nature.” said Executive Director of Pantone, Leatrice Eiseman. It’s a bold departure from last year’s combination Rose Quartz and Serenity. 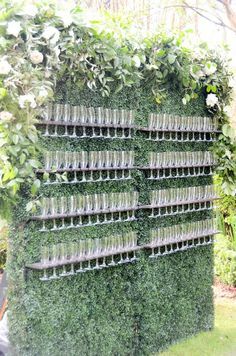 Last summer a few of our couples such as H+B incorporated a lot of actual greenery into their weddings because Birch & Bunny couples are trend-setters! See more from H+B’s wedding as well as a full list of credits. Laura Richert, Owner of Birch & Bunny Weddings and Events is dedicated to providing a seamless journey down the aisle, and events that are truly a reflection of the two of you. Your vision will be executed down to the last detail, and I am honored to be a part of it. 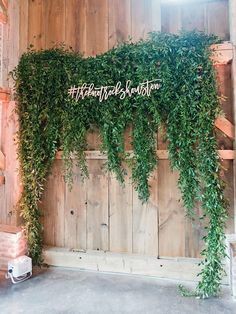 This entry was posted in Tips, Wedding Colours, Wedding Inspiration and tagged 2017, Color, Colour, Colour of the Year, Greenery, Pantone, Trends. Marsala has been announced as Pantone’s prediction for the colour of the year for 2015. Compared to last year’s color Radiant Orchid, this year’s colour is a much more rich hue. It’s deeper and pairs well with metallics. **Just between us darling, that’s a little clue as to a certain wedding inspiration styled shoot that I may have in the works! “This hearty, yet stylish tone is universally appealing and translates easily to fashion, beauty.” says Leatrice Eiseman, Executive Director of Pantone Color Institute. Will you be incorporating this rich wine hue into your wedding colour pallet? We’d love to hear from you! 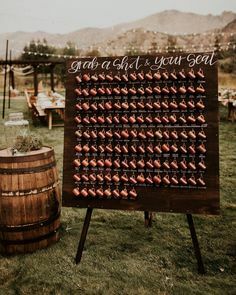 This entry was posted in Themes, Tips, Trends, Wedding Colours and tagged 2015, Color, Colour, Colour of the Year, Marsala, Pantone, Red, Wedding Colours. Radiant Orchid has been announced as Pantone’s prediction for the 2014 colour of the year! It’s bright, and cheery, and it’s not just for spring! This shade pairs especially nicely with dove grey or with summer colours such as greens or a sunny lemon yellow. Fall and winter Brides can mix with metallics or muted tones if they feel this shade is too bright for their colour scheme. “An invitation to innovation, Radiant Orchid encourages expanded creativity and originality” An enchanting harmony of fuchsia, purple and pink undertones, Radiant Orchid inspires confidence and emanates great joy, love and health. It is a captivating purple, one that draws you in with its beguiling charm.” said Leatrice Eiseman, Executive Director of the Pantone Color Institute. Birch & Bunny Weddings is dedicated to providing a seamless journey down the aisle, and events that are truly a reflection of the two of you. Your vision will be executed down to the last detail, and I’m honored to be a part of your wedding day. This entry was posted in Themes, Tips, Wedding Colours and tagged 2014, Color, Colour, Colour of the Year, Pantone, Purple, Radiant Orchid, Wedding Colours.